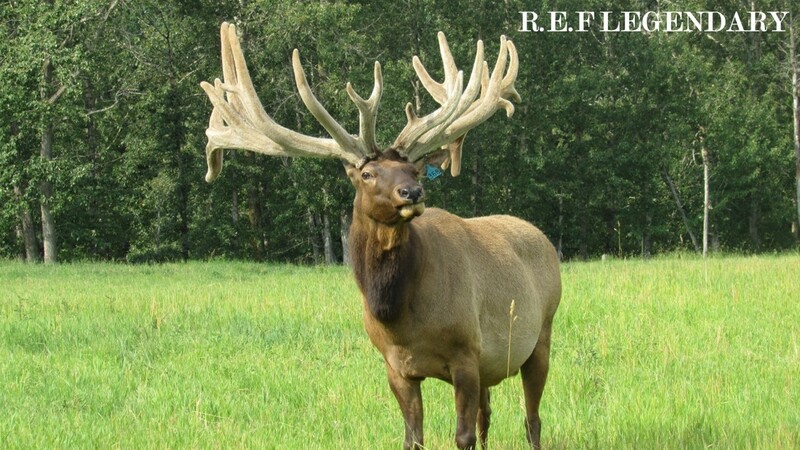 Coming from a spectacular pedigree… ‘R.E.F Gunsmoke’ is the first EVER Whiskey-Jack son to be sold! Gunsmoke was our top Whiskey-Jack spiker of 2018; with his impressive mass and large bases. Whiskey-Jack comes from a stacked pedigree that includes: Sultan, King George, 6-Pac, Whiplash & King. 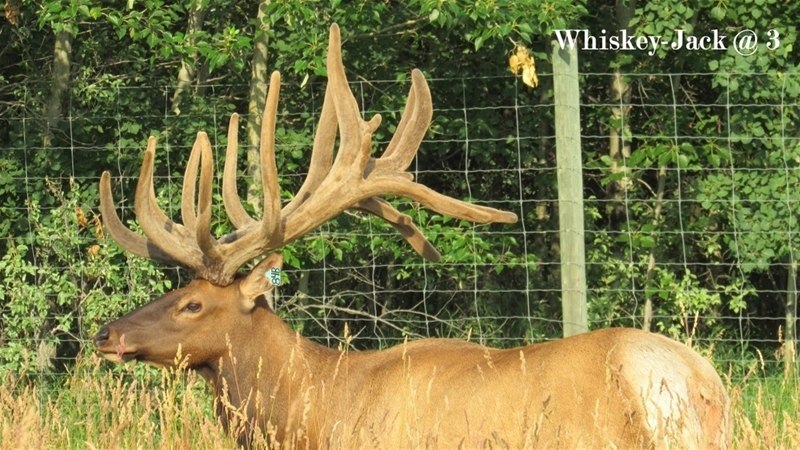 As a spiker, Whiskey-Jack scored a whopping 295 4/8 SCI. At the young age of 3, Whiskey-Jack took 1st place in the 3-year-old Non-Typical Hard Horn category at the 2018 Elk Expo, with a score of 450 3/8 [official]. Gunsmoke’s dam is a daughter of ‘R.E.F. Legendary’, who is one of Riverbend’s all time, most proven herd sires. 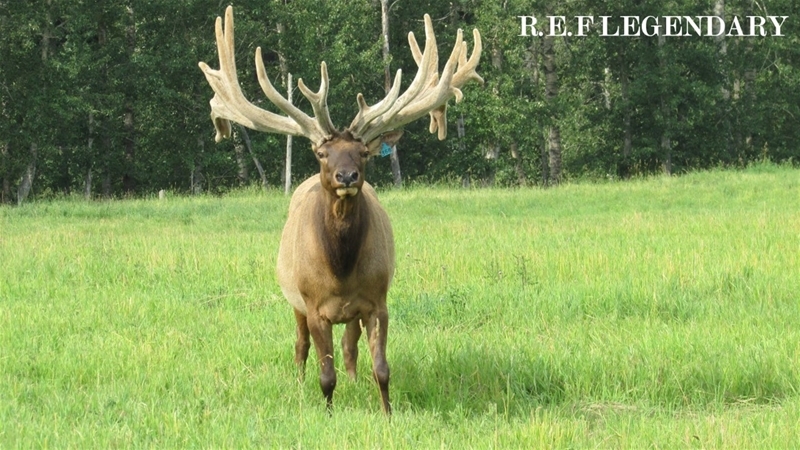 Legendary topped the 500” mark for several years, & was sold as a 512 inch trophy bull at age 13. 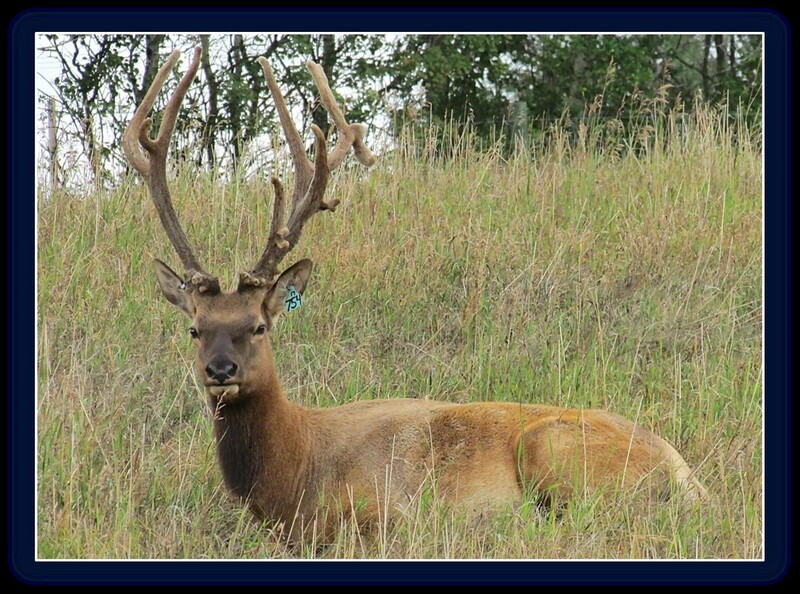 His female offspring continue to be at the top of our cow herd for calving production, disposition and producing trophy hunt bulls. Riverbend’s cow herd still consists of mostly Legendary genetics. Legendary’s line of genetics have been proven to pass on, as his sister has produced TWO of Riverbend’s most recent herd sires; Outlaw (431 2/8 SCI) and Skyscraper (451 3/8 SCI in 2018 @ age 5). Aside from Legendary’s incredible disposition, Legendary was one of our most eye appealing bulls to ever walk on our farm, due to his wide, heavy frame and long tines. 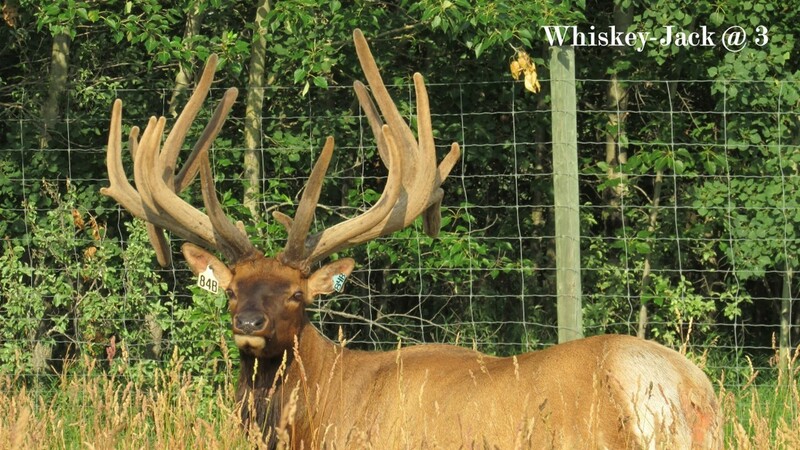 Gunsmoke is the first Whiskey-Jack/Legendary cross to ever be sold from Riverbend Elk farm. With Gunsmoke’s proven pedigree, he has potential to be a great breeding sire and trophy hard horn bull.